With the disposable plastic bags, the otherwise troublesome cleaning of the litter box is a breeze. Put the bag in the litter tray, spread the litter out as usual and, when cleaning, simply take out the whole bag with the litter. The tray remains un-dirtied and fresh, your hands remain clean. 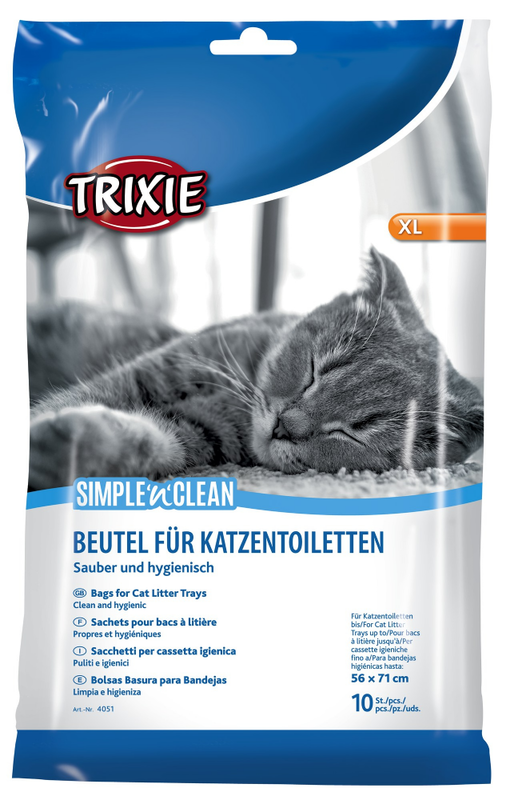 The simple solution for regular cleaning of cat litter trays.